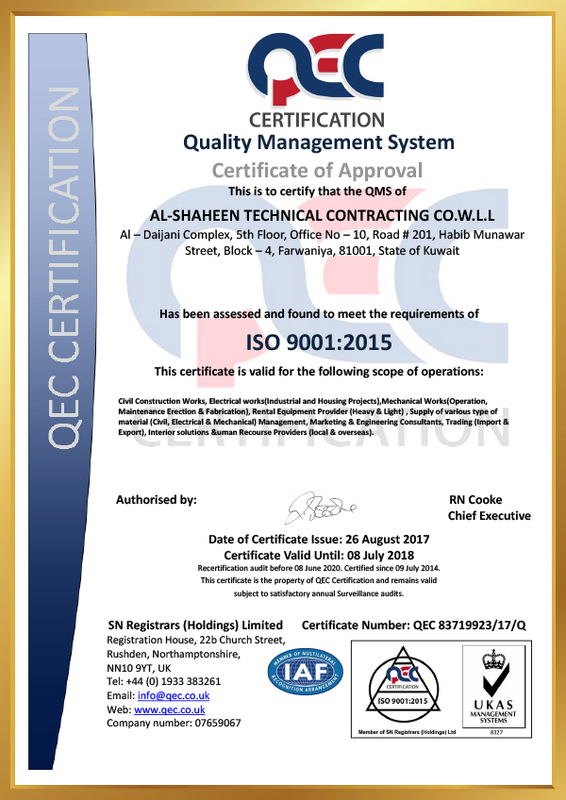 Al-Shaheen believes in delivering. 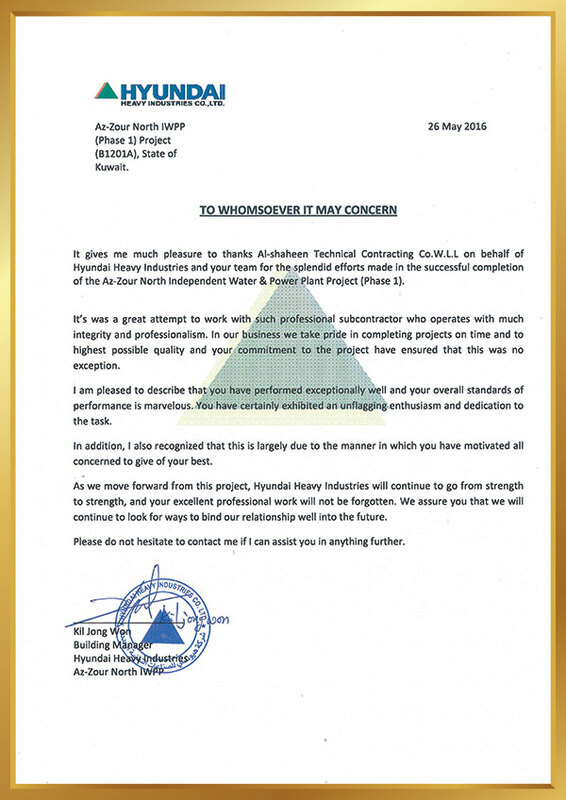 Our efforts are focused on achieving the desired results. 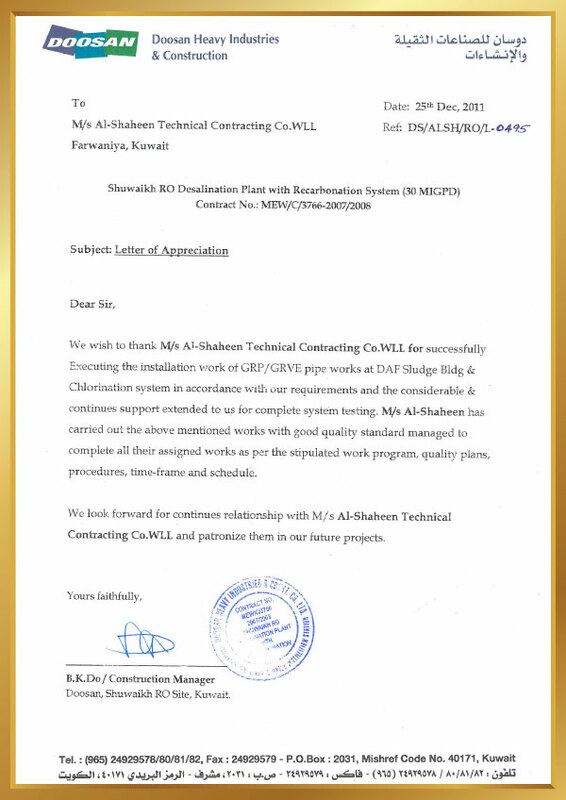 We thank the organization who have found these results worthy of being appreciated. 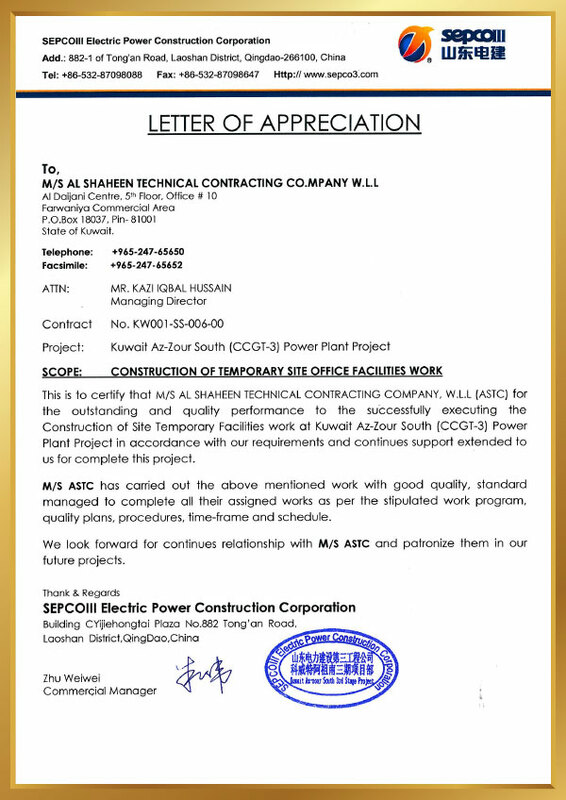 These awards and recognitions are indeed very encouraging in our pursuit for excellence. 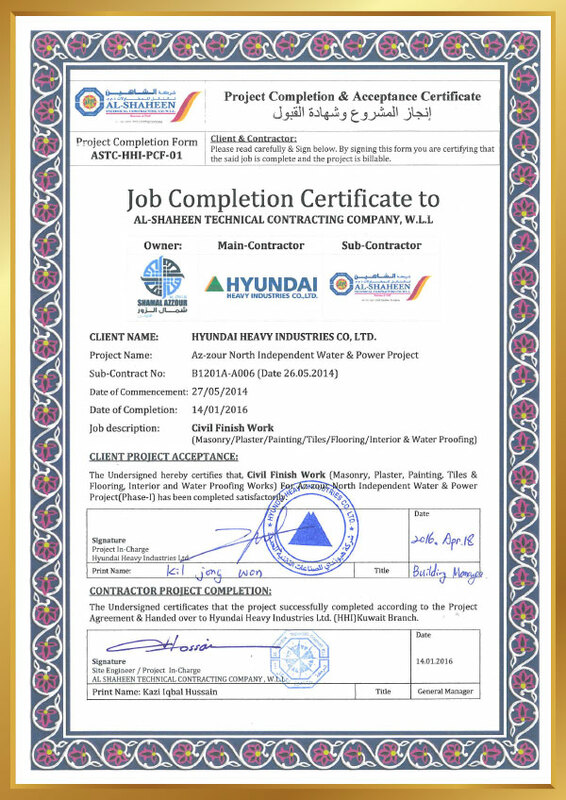 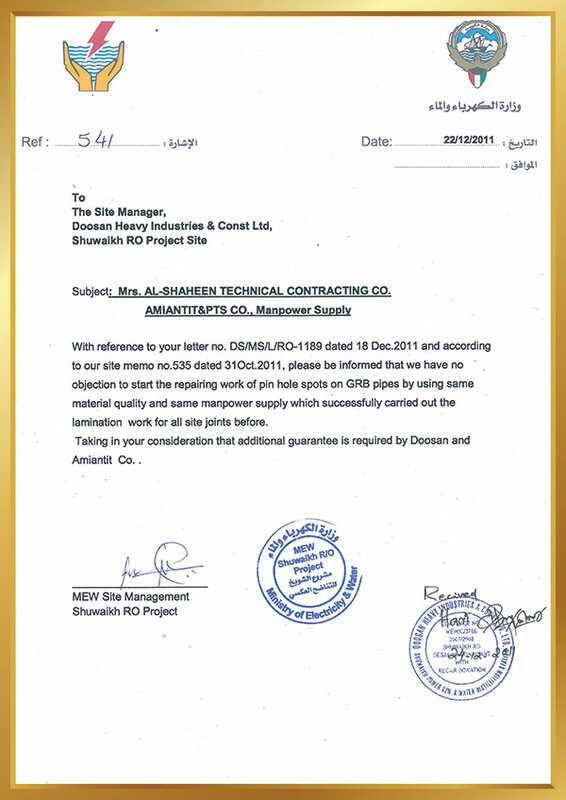 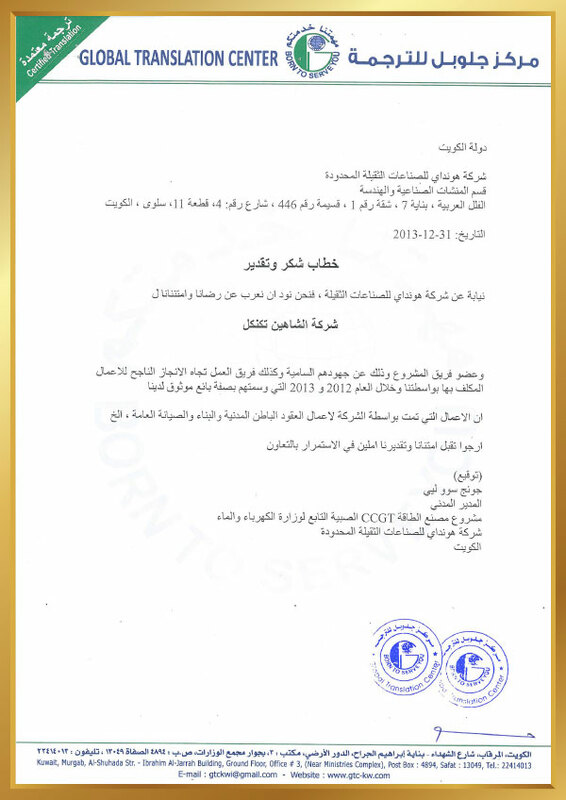 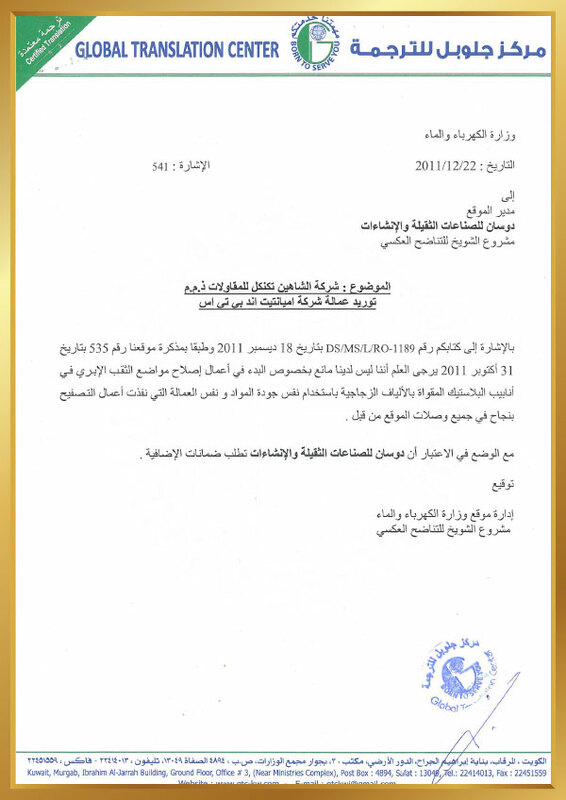 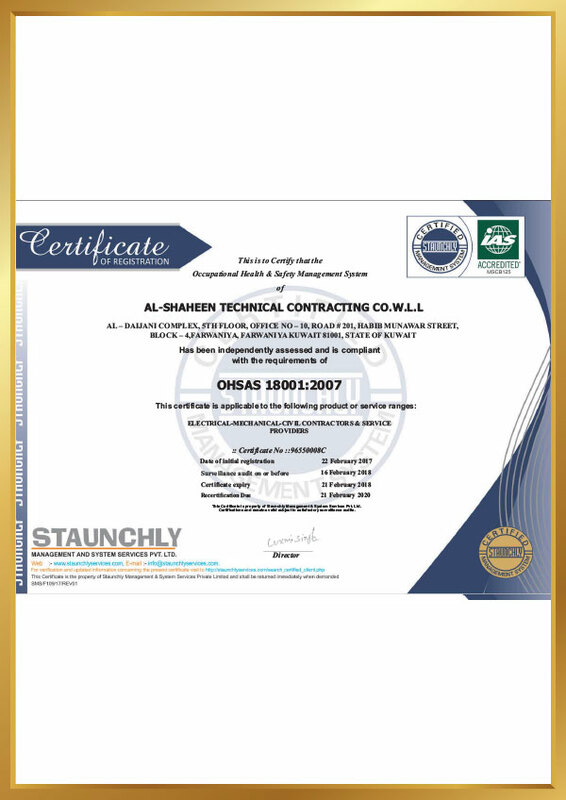 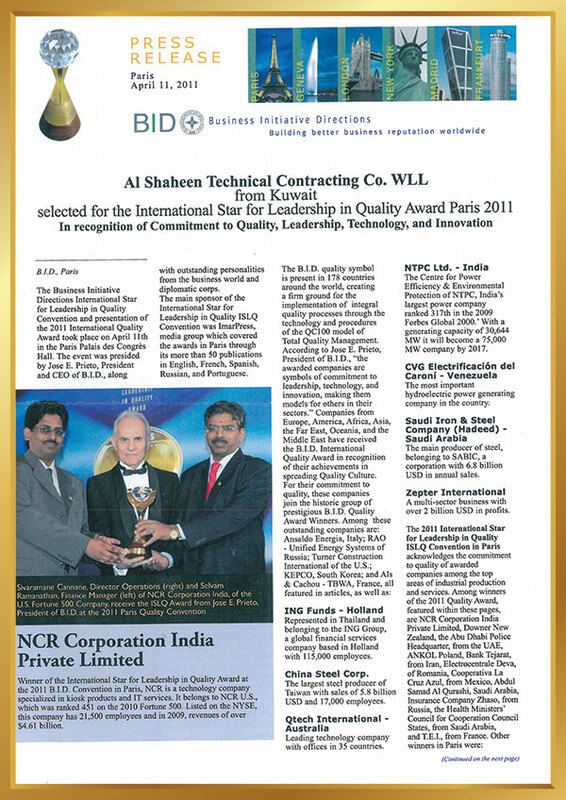 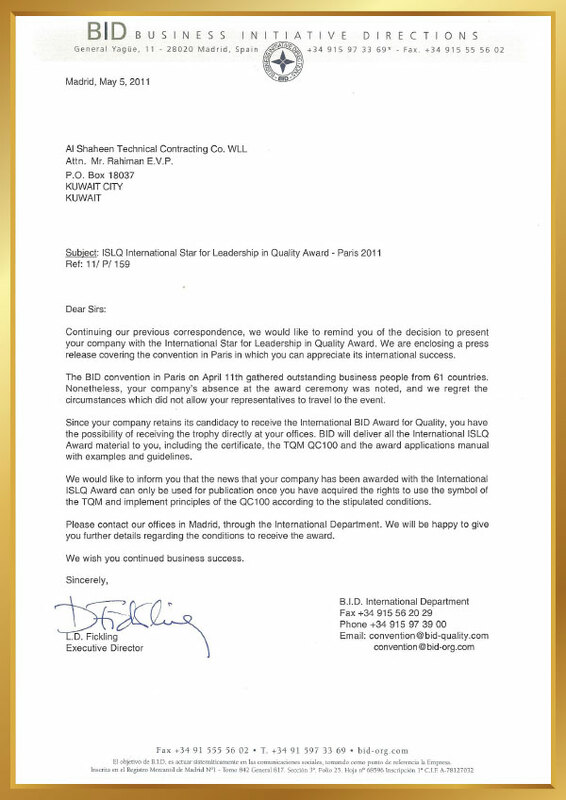 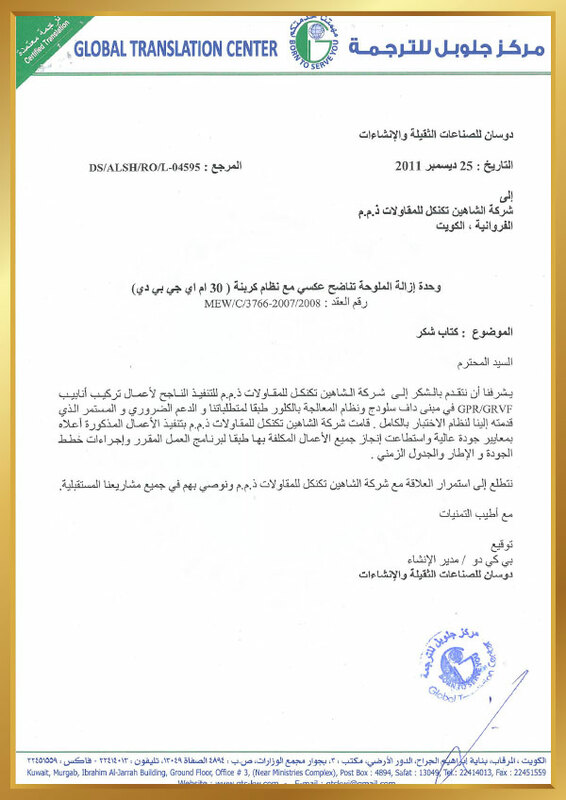 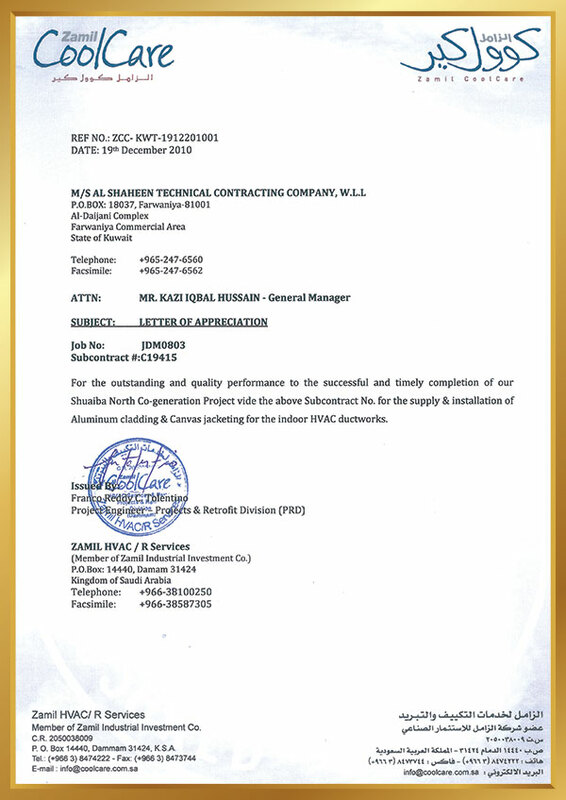 Al Shaheen Technical Contracting Company, W.L.L from Kuwait selected for the International Star For Leadership in Quality Award Paris 2011. 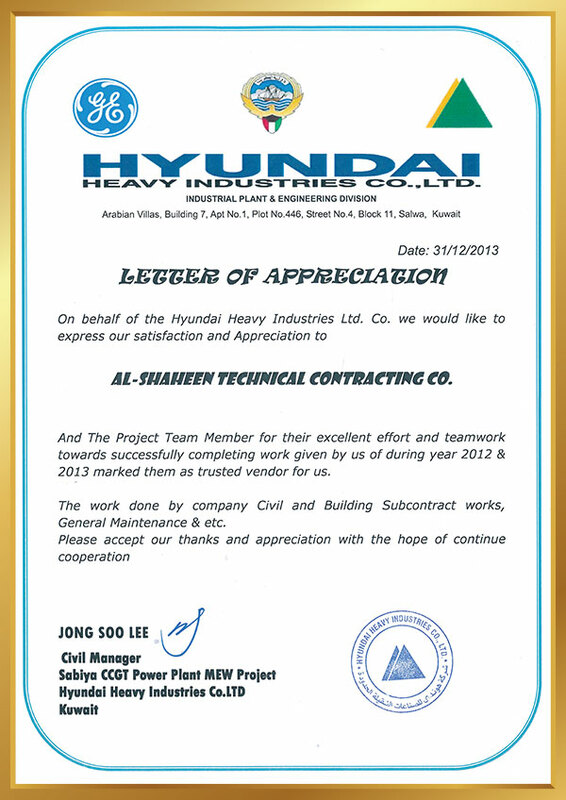 In Recognition of commitment of Quality, Leadership, Technology & Innovation.